Complement your outdoor living area with the finest in quality and practicality, with the perfect companion to your outdoor kitchen, the Firemagic Turkey Fryer. Taste the unique flavor and tenderness of deep fried turkey. 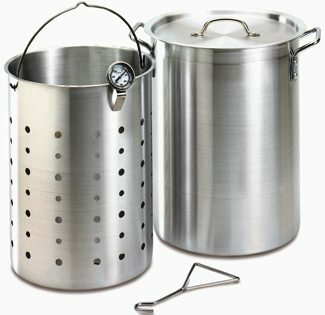 The Turkey Fryer comes equipped with the 26 qt.pot, inner strainer basket with sturdy handle, cover and thermometer probe. Great as a crab pot or for fish fries. And don't forget chicken. There are endless uses for this cooking system.